5 39 Be the first to write a review! 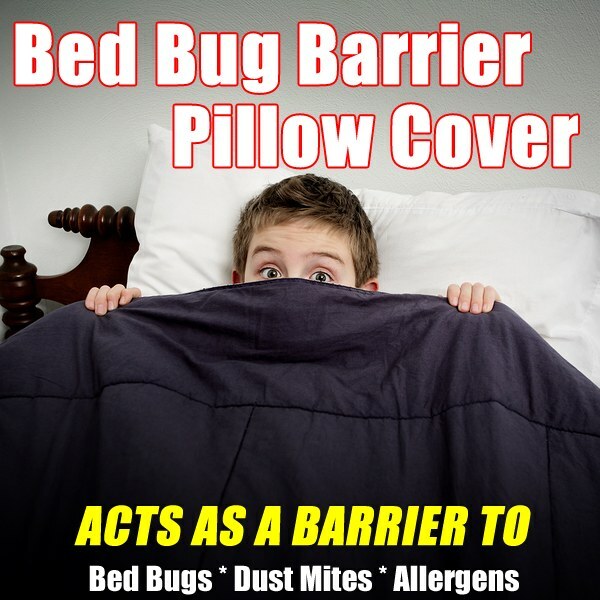 Bed bug, dust mite and allergy relief pillow cover encases your pillows! Ideaworks Bed Bug Barrier Pillow Covers as seen on TV. The chemical free High Density Polypropylene material is an effective barrier to bed bugs, dust mites and allergens. Easily fits on your pillow. Zips closed. Pillow case comes in set of 2. Machine washable. Fits Standard Pillows. Effectively protects you from bed bugs, dust mites and allergens. Fits standard pillows Zips closed easily.